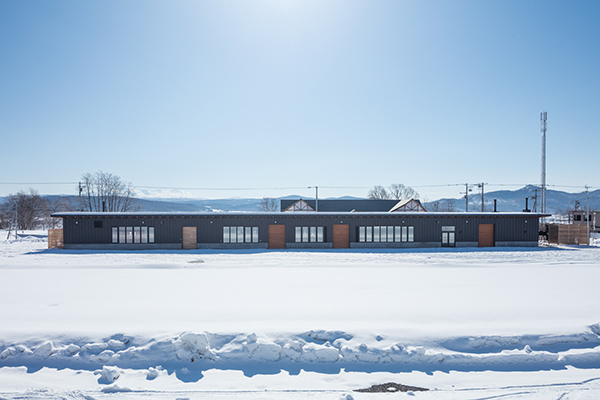 Toma Town Promotion Base Facility on Wood | PROJECT | YAMASHITA SEKKEI INC. 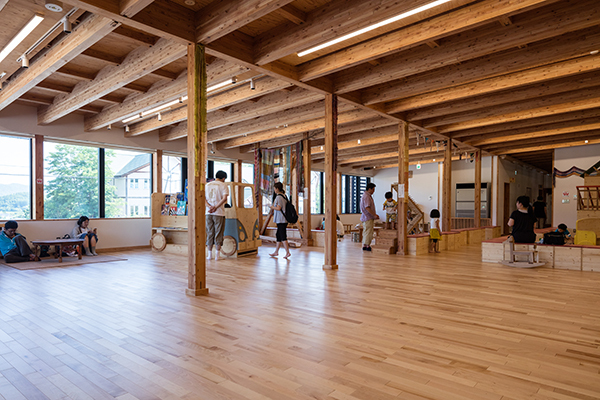 It is a central facility responsible for “Mokuiku”, which is the theme of town development. 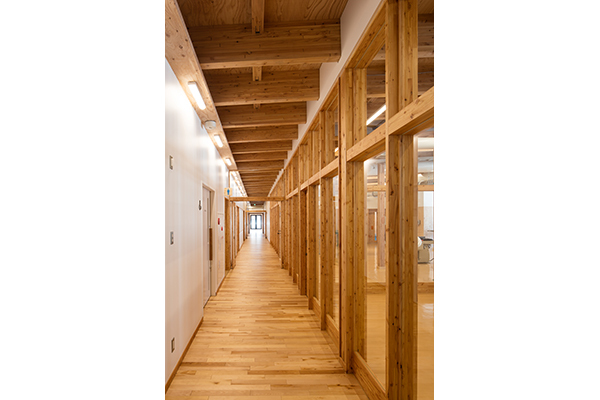 As a place to send information on “trees”, a place to train human resources using “trees”, a place to expand the exchange population through “trees”, and a place to play a part in the development of “forestry” It is a facility to make the most of it through “Mokuiku”. 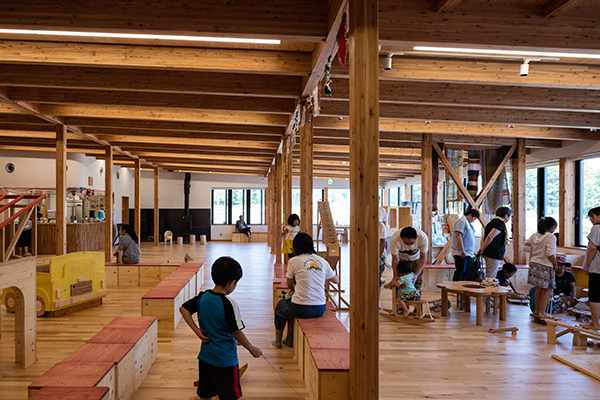 Assuming the use of a wide range of generations from children to seniors who perform specialized woodworking processes, it has play equipment and toys that make use of the texture of wood, and all kinds of woodworking machines. 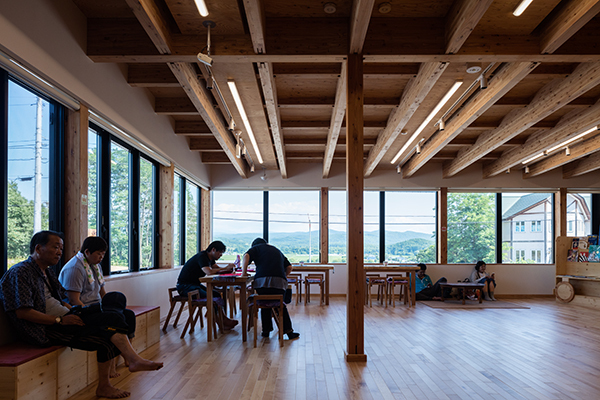 Using locally-produced materials, the main frame is expressed in a simple framework using a new wooden conventional structure, so that the “tree” of Toma can be recognized.